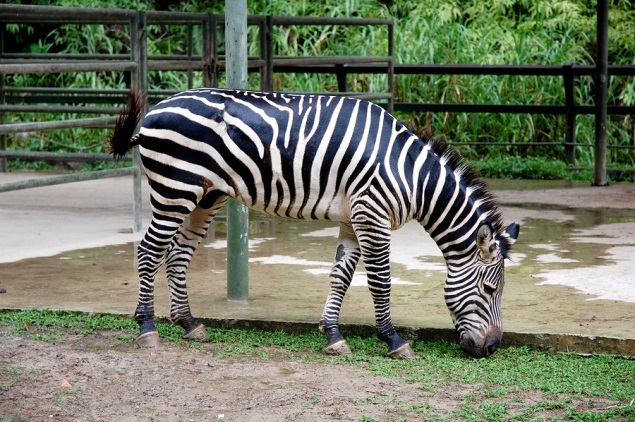 Zebras are herbivores and munch on grasses, leaves and twigg. They graze for long hours each day and their teeth start to wear down fast. Their teeth have to keep growing all their lives to replace the worn-out teeth. The head of the herd is called a stallion (male) and there will be several females (mares) and youngsters (foals) travelling together in search of food and water. They communicate with one another by making facial expressions and sounds. When they join up with other zebras at the watering holes, they will know who the members of their group are by these special communication signals. 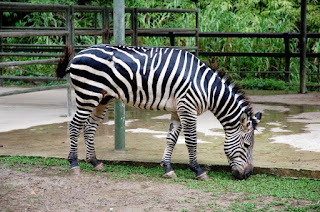 Because they are very mobile, zebra foals can walk just 20 minutes after they are born and run within an hour. This is so that they can keep up with the moving herd and not be left behind.